For some parents, the words "happy hour" now refer to the moment the kiddos finally hit the hay. 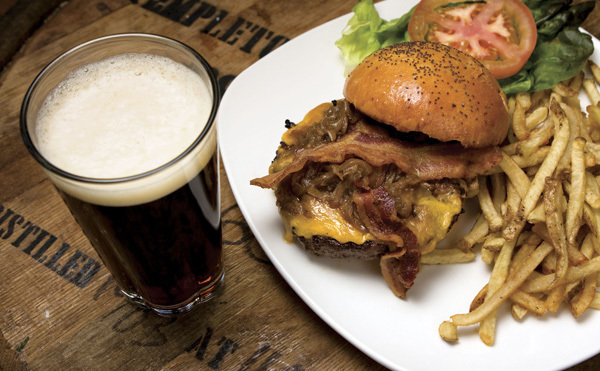 But who's to say you can't enjoy a round of beers at your favorite Chicago bar with the little ones in tow? 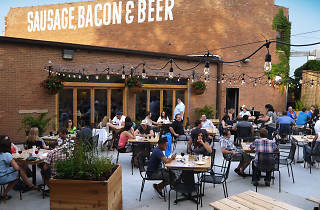 Whether you want to take the whole family out to watch the game or simply enjoy a glass of wine on a sunny patio, here are the best places to do it. 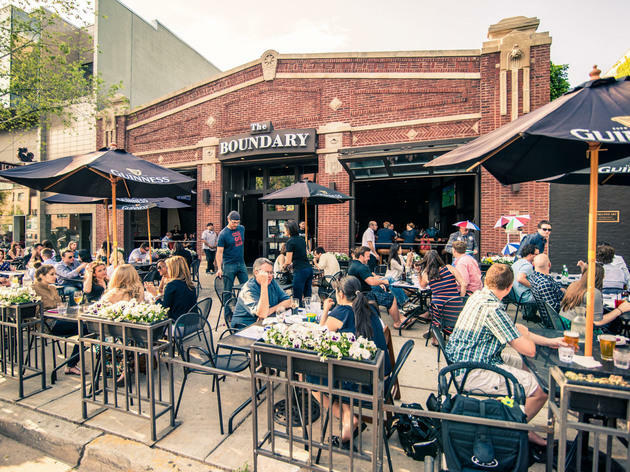 These kid-friendly Chicago patios and bars will surely satisfy the big kids (that's you) in the bunch, too. 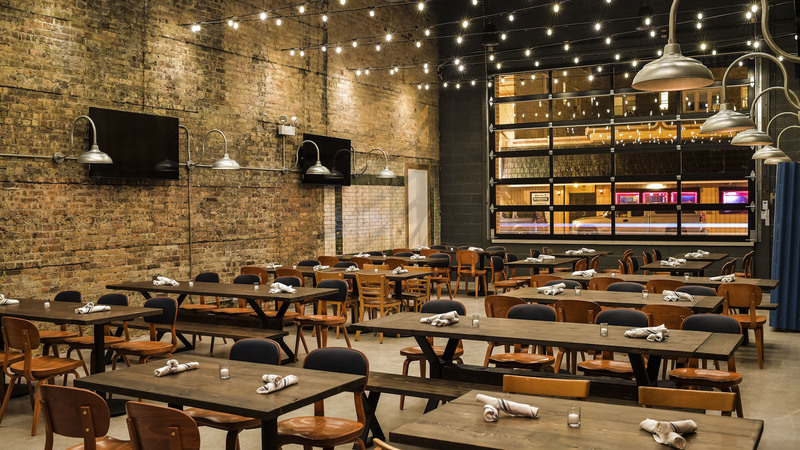 This sleek, light-filled Logan Square brewery has communal seating, a kid-friendly policy and, most importantly, lots a great brews. If the little ones are in tow, pack a coloring book or card game to keep the whole family occupied as you sip your way through the menu options. 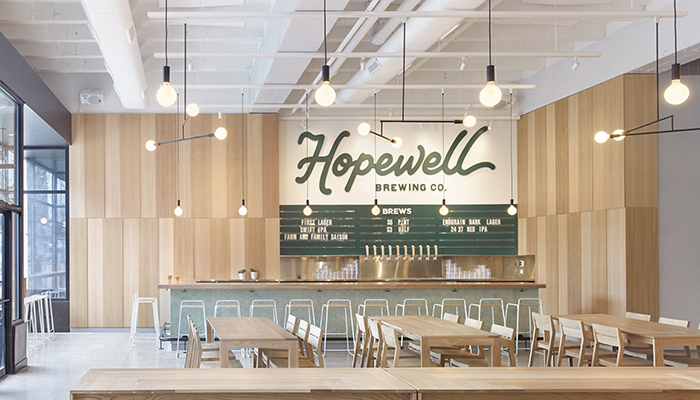 Hopewell doubles as a great spot to host out-of-towners, too (take notes, aunts and uncles). Alright, so maybe it's not the best place to take the kiddos at noon on Sunday, when the wait pushes two hours and the adults are knocking back negroni slushies. 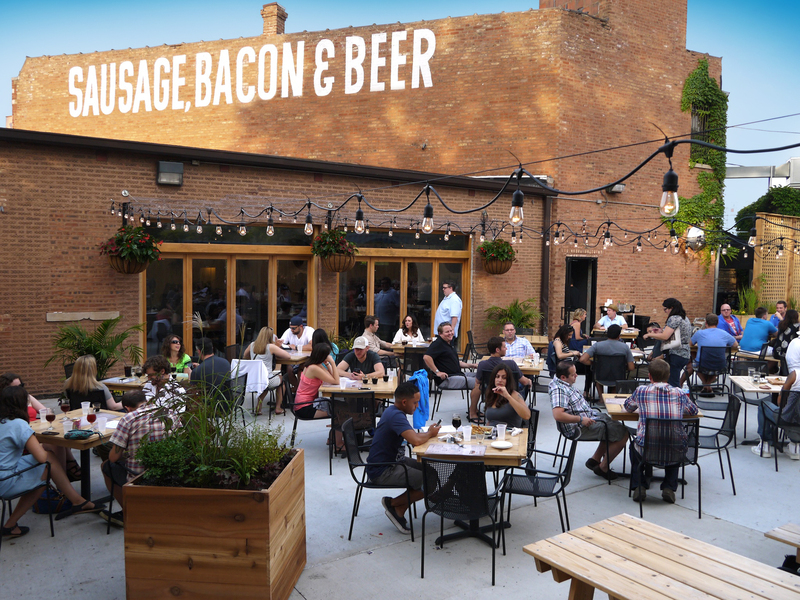 But for a low-key weeknight dinner out with the family, Parson's patio is a great place to hang. Split the grilled Amish chicken and toss in sides like mashed potatoes and gravy and baked beans. If the kids are good, a slice from Bang Bang Pie is in order. 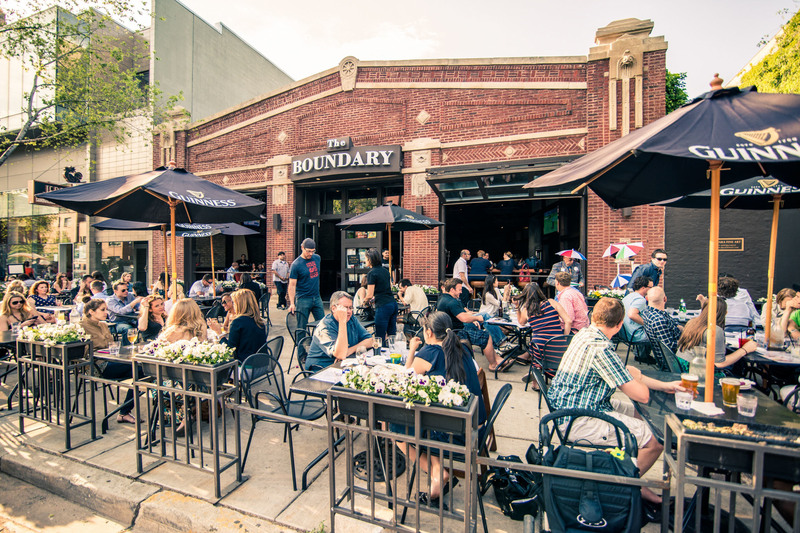 Patio-loving parents can have the best of both worlds at this West Loop bar with a sprawling outdoor beer garden. The scene isn't too rowdy (even for a Sunday Funday), and the kiddos will love menu options like the quesadilla or giant Bavarian pretzel. 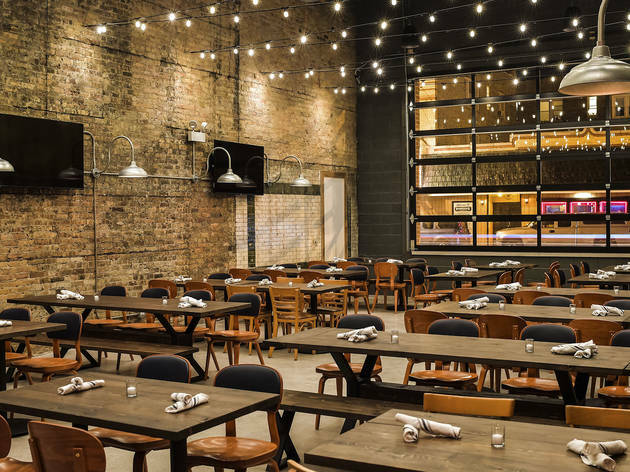 This loud and proud Logan Square beer hall is the perfect place to hole up when the weather isn't cooperating. 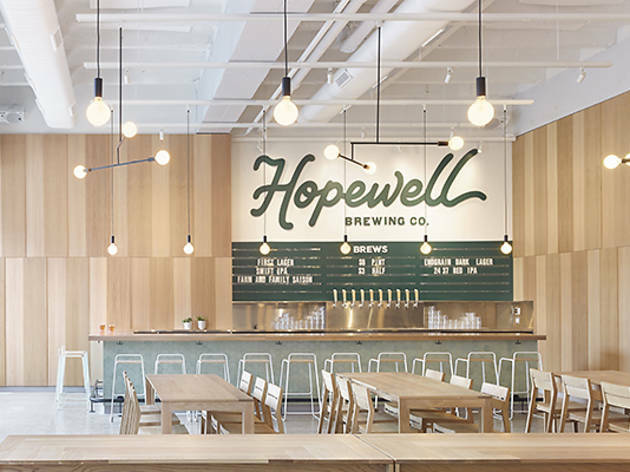 The space is designed for large groups and offers a killer selection of beers and German food (the kids will go nuts for the haus pretzel). The cherry on top? 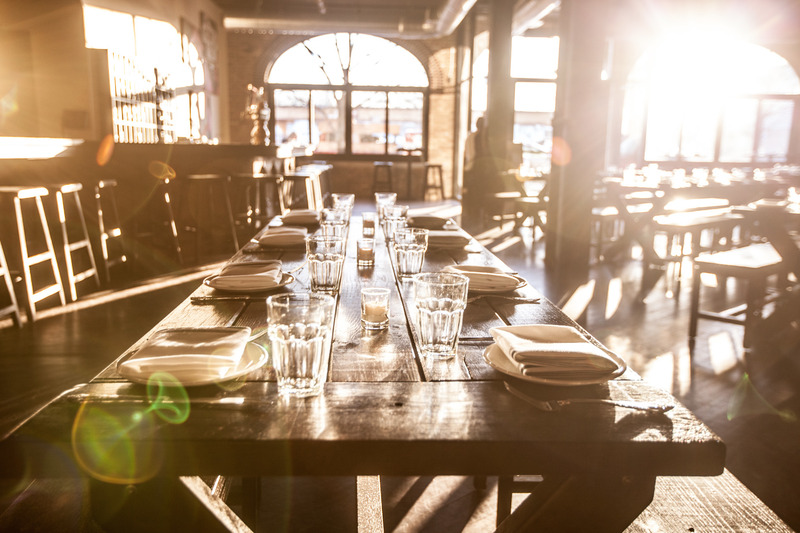 There's a selection of board games available for groups to enjoy while they dine and drink—perfect for calming fussy little ones. 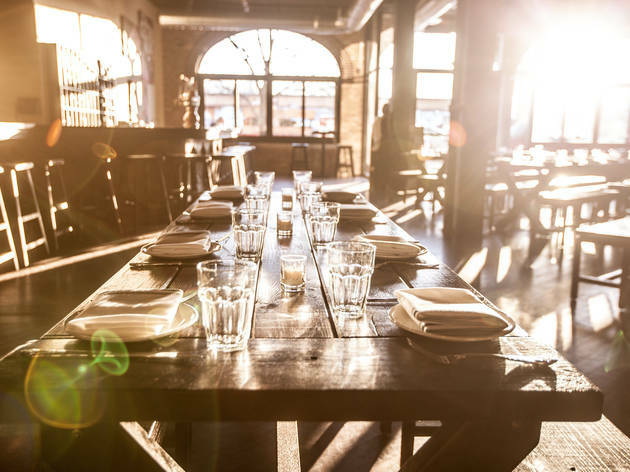 When it comes to brunching with the kids, this Wicker Park spot has you covered with Bloody Marys for the adults and crayons for the littles. Kid-friendly menu options include classic pancakes and waffles and buildable sides like bacon, wheat toast, sausage patties and bagels. 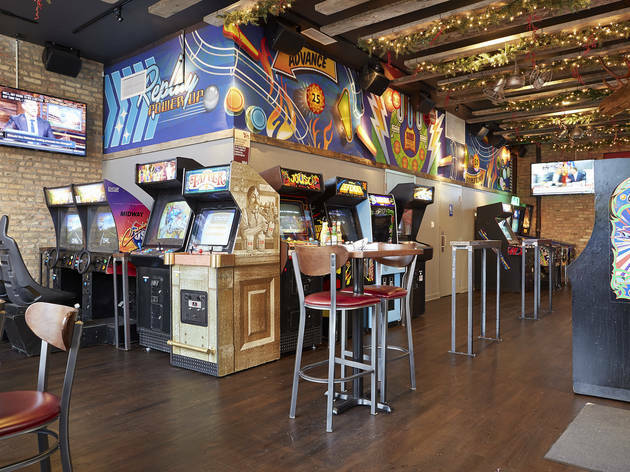 If your kids are loud, they'll fit right in with the crowd at this Logan Square brewpub. 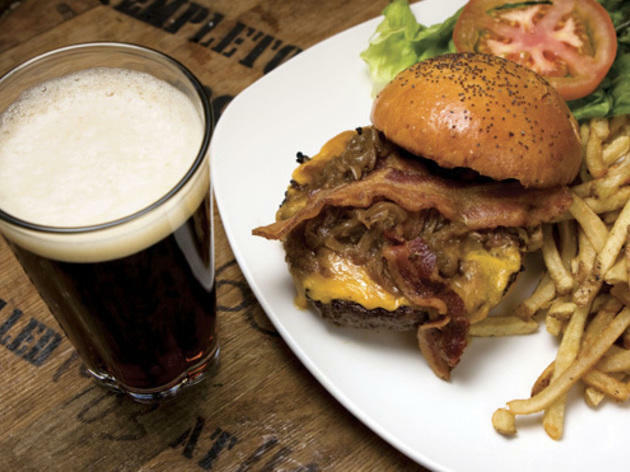 Revolution is almost as serious about the food as it is the beer, and the young ones will enjoy their pizzas or a duck grilled cheese. Beware: It's best to bring them on weeknights, when the wait isn’t quite as long, to avoid restlessness. Kids are totally welcome at this Irving Park brewery and beer hall, where community is key and the suds are always flowing. We recommend staying away from special events when the kids are tagging along (you'll wish you'd hired a babysitter), but average weeknights and weekends offer the perfect backdrop for a family night out. 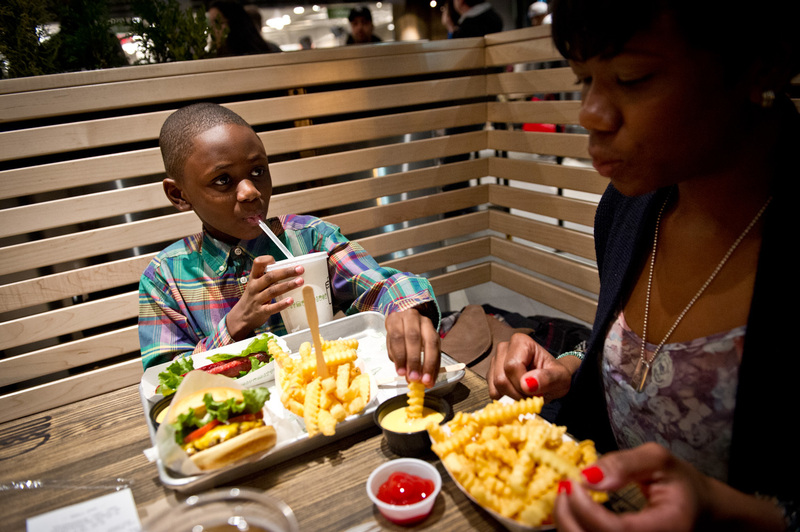 The little ones will love the kids menu, which offers choices like chicken tenders, bacon mac and cheese and a B.L.T. sandwich. Replay Andersonville gladly welcomes the entire family, but there are a few things you should know before you go. 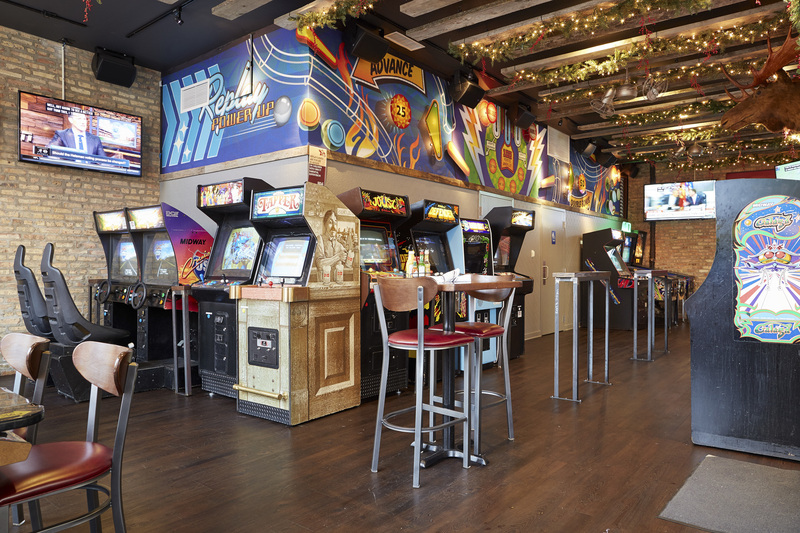 Kids should be supervised at all times while playing the bar's arcade games (they're classic '80s originals and damage easily) and adults-only hours go into effect after 8:30pm Monday–Thursday and after 6:30pm Friday–Sunday. With that in mind, the kids will be quite pleased with the menu, which offers Swedish meatballs, tacos and chicken flatbread. 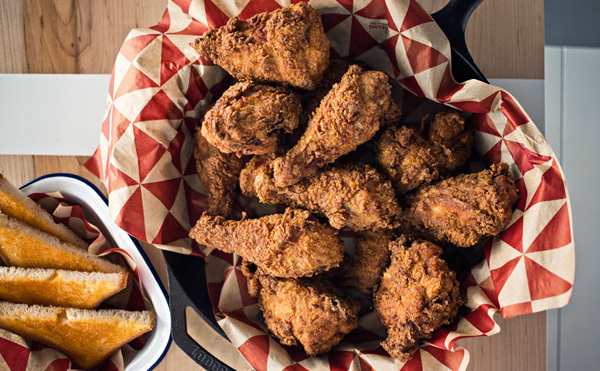 Move over, chicken fingers and hot dogs. 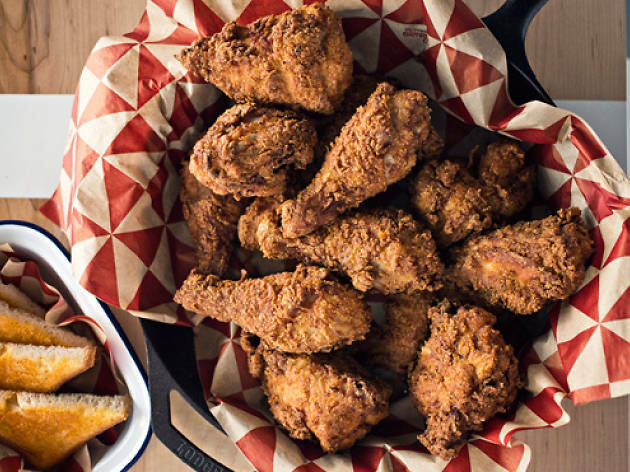 These family-friendly Chicago restaurants around town have amped up their offerings with "fancy" kids' menus and features that make it just a little less stressful to dine out with the the little ones in tow. 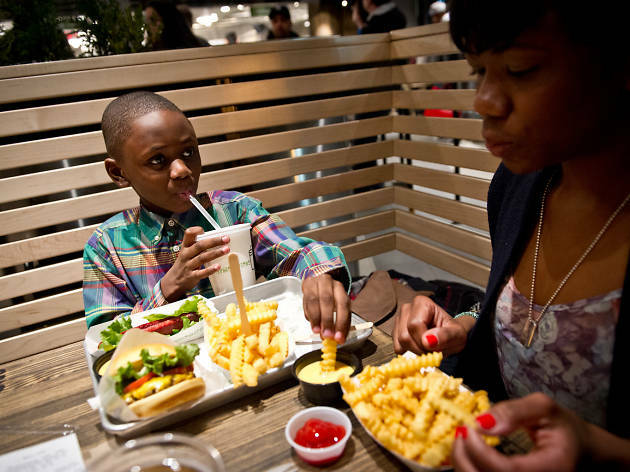 Bonus: Kids eat free at some of these spots.